In my previous posts I have mentioned that using cell phone while driving is extremely dangerous. I see more and more people on the road texting while driving or sometimes even surfing internet while driving. Statistics show that there is more distraction during usage of a cell phone while texting, versus driving under the influence of alcohol. 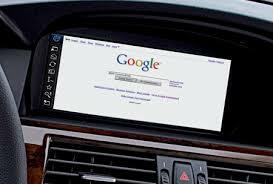 Recently more and more automobile manufactures adding additional distracting feature in their vehicle in order to boost up the sales. Yes, who cares if you die after buying our vehicle – probably the thought of vehicle manufacture CEO. The latest models of Ford, Chevy and Chrysler are working on the new feature for their vehicles. They want to install a dashboard which can surf the internet and synch it with many electronic gadget that you have in your possession – the main one would be an iphone or any android device. Ford’s new “in car connectivity” called “Ford Sync” lets the driver sync up to apps, read Twitter feeds, play iPods on demand and even read text messages to you. The system is supposed to be able to read your emails, fresh blog posts and update your daily schedule. Ford CEO claimed that the new system is harmless. Yeah, right. How could this possibly be a true statement when your eyes are going to be on a dashboard instead of the road. Mr. Ray LaHood, who is a Secretary of Transportation, asked the same question Ford’s CEO. Mr. LaHood is planning to work on the statistics about how the internet dashboard will effect driver’s distraction and safety. My San Leandro Chiropractic Clinic has seen many injured patients who were involved in a car accident because someone else was texting while driving. In my own opinion these dashboards are not going to improve safety of driver. National Highway and Transportation Safety Administration has to provide an independent study for this new and dangerous invention that our domestic auto maker are planning to install in millions of vehicles.